What to choose between Vampire V4 standalone and A1222 Tabor !? The positive race is on between AmigaOS 68k and AmigaOS 4 and MorphOS. With both PowerPC and 68k Amiga machines now getting more power and even users. The future is bright for the Amiga in 2017. In this article we look at the differences between choices you have when you will buy one of these totally new Amiga home computer systems. 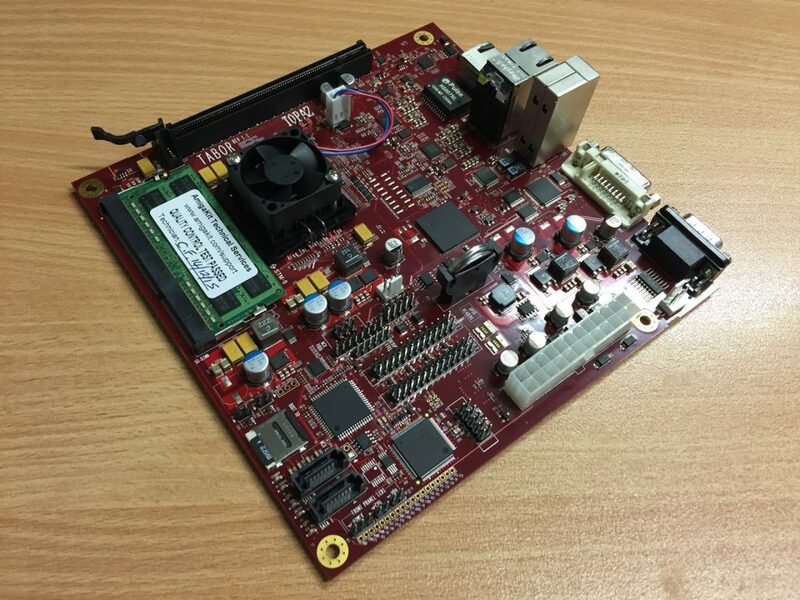 The big question now is about 68080 FPGA Vampire V4 versus A1222 Tabor PowerPC and we think that this will bring positive competition to the Amiga platform and much more development (let’s hope for that!) to the platform than ever before. Out of sudden, Vampire V4 can for sure challenge the Amiga PowerPC market. What sort of choices the Apollo Team will choose is a bit uncertain still, but it seems like a 68060 on 400MHz steroids is the goal, but if they want they can achieve 68060 on 600MHz steroids too. But it seems that they want to keep the price down and because of that choose a cheaper FPGA. However, the card will cost around 300 to 400 EUROS. It is the same pricetag as A-EON wants to put on their A1222 Tabor motherboard. So, the race between 68k and PowerPC is now on for real. So, the real question is. Does the Amiga PowerPC market have enough interested people versus the Apollo Team market, which is based on the Amiga 68k market? The short answer to this is Yes! The Amiga PowerPC and 68k markets does target different kind of people. While A-EON targets Amiga people wanting more of todays technology to run AmigaOS on. Apollo Team continues the Commodore AmigaOS 3.x path for now. Yes, AmigaOS 4 does have AmigaOS 68k support like MorphOS does. But they both doesn’t support Amiga’s custom chips like the Vampire V4 does natively. You could say that AmigaOS 4 and MorphOS is like running AmigaOS on a Draco 68k Amiga clone. They do have the possibility to run UAE for running AmigaOS 68k games and apps. But it’s not the same! People which will be buying Vampire V4 standalone, will get it because of the backward compatibility with extra power. Vampire V4 market will focus more on 68k Amiga gaming, demos and apps usage. However, apps like MUIMapparium and future web browser with CSS and HTML5 will transform Vampire V4 to a useable 68k Amiga in 2017. Both standalone and as a accelerated Amiga 500 or Amiga 1200! 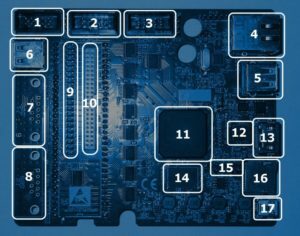 The real difference between AmigaOS for A1222 Tabor, X5000, PowerMac G4s, PowerMac G5s etc and Vampire V4 FPGA ends at usage. For now if you want to have AmigaOS experience while browsing the net, browsing openstreetmaps fast and using social media. The PowerPC line up is still without question the best way to go as you have the possibility to have 1GB or even 2GB RAM. With 512MB DDR3 ram on Vampire V4, you come far but with Facebook using sometimes 600MB of RAM then it would just not work. However, it is more than 128MB RAM which the Efika PowerPC motherboard from Genesi got. Maybe some of the Vampire V4 versions will have 1GB of RAM later? 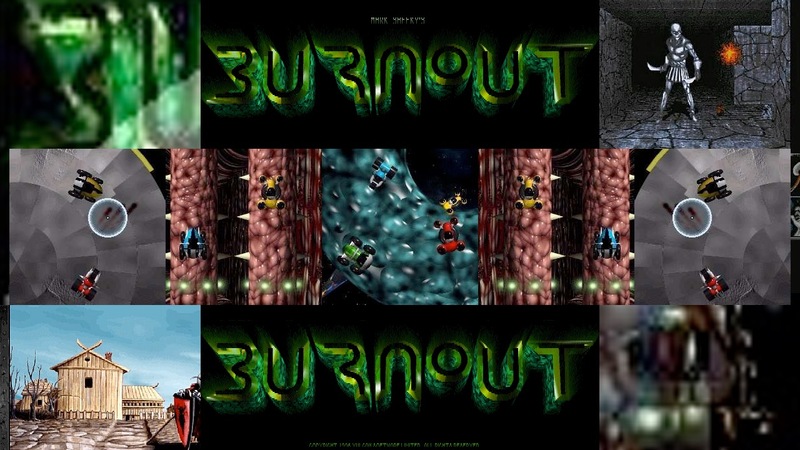 The PowerPC Amiga market also have some stronger game titles like Return to Castle Wolfenstein, Quake 3 or even the Amiga version of WipeOut 2097 that runs very nicely on the Amiga nextgen PowerPC compatible motherboards. On Vampire V4 FPGA for now, the PowerPC Amiga games will simply not run for now. But this might change in the future as FPGA can be anything. So, interesting times ahead for sure. When it comes to Vampire V4, it will deliver SAGA (graphics card upto 720p HD) with HDMI out, 512MB DDR3 RAM, MicroSD, Ethernet port and IDE connector for Amiga 500 and standalone version. So, this 68080 FPGA card will for sure challenge Efika, A1222 Tabor, iBook G4s, MacMini G4s and the lower Pegasos II G3 (G4) and PowerMac G4s regarding power and mem. So, powered classic Amiga apps will fly on Vampire V4. 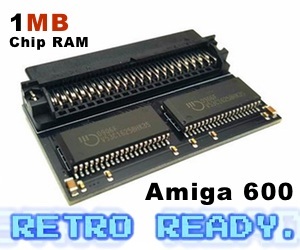 All of the 3D FPS Amiga games already flies on Vampire V2 card with GOLD3 release, so on the new card they will run even better just because of the type of RAM used. Rendring stuff using Lightwave 3D or Cinema 4D also flies. The new Out Run with Cannonball engine is also yet another great power achievement from 68080 FPGA Vampire card too. So, conclusion is that the future for Amiga is now getting brighter than ever in 2017! With Vampire V2 having established itself quite well in the Amiga world, Vampire V4 news reaching everyone (also those outside of the Amiga community), A-EON releasing A1222 Tabor for the same price as Vampire V4 will be sold for and the open source Amiga community driving the AmigaOS spirit forward together with fabulous commercialy developers. 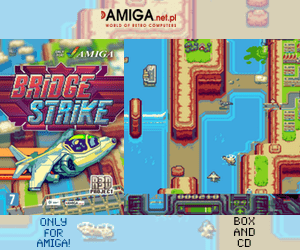 Then we could say for real that Amiga is back in 2017! Now it’s time to get more developers to our community and the x-Amiga developers back and AmigaOS can yet again become a great alternative number 3 after PC and Mac. Thanks to the amazing Amiga community making this possible! Dave Haynie gave me a thumbs up on social media after showing him The Register article about Vampire V4. The whole world is amazed about us and it shows that real love for a product is not all about the money. It is about the users loving it so it can surve with or without owners. Amiga community is a perfect example on that visionaries and dreamers makes things happen. Fantastic times ahead for sure! Launch info we have for now: A1222 Tabor is said to be out in October 2017. Vampire V4 is said to be out before Christmas. Vampire V2 is out since 2016.